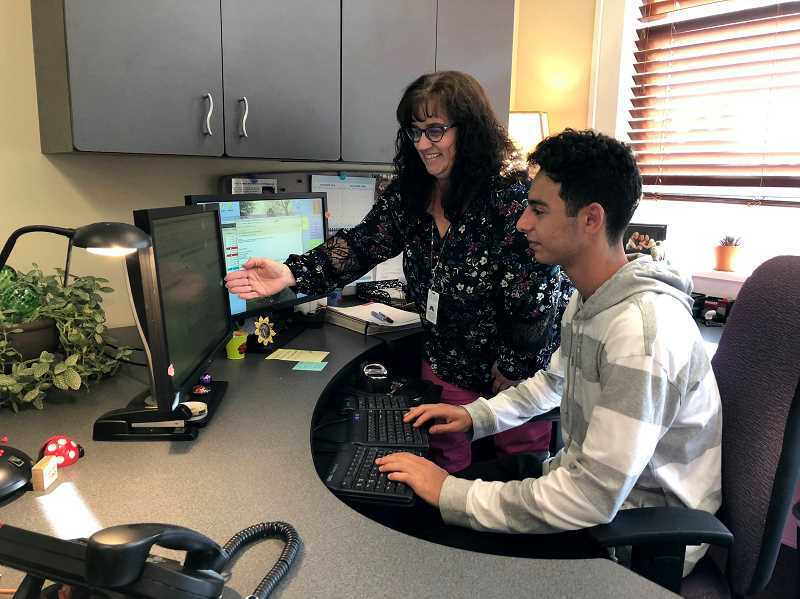 For the first time, high school students can land an internship at the West Linn-Wilsonville School District's business office for school credit. And the business department welcomed West Linn High School junior Tommy Abboud Oct. 8 as their first intern. "I have always been interested in business and especially have always enjoyed math," Abboud said. "I want to find ways to learn more and be prepared for college and my career. I am also enrolled in Introduction to Business at Clackamas Community College for second term so that I can get started on my learning about business, and I think this internship will help me too." The business office has two available positions for any student attending a district high school — an accounts payable intern and accounting intern. Both interns will work closely with business office staff. Son Le Hughes, the school district's chief financial officer, said the internships will also allow district staff to serve as mentors for students and the interaction will be beneficial because some staff don't have the chance to see students on a regular basis. Hughes, who recently arrived at the WL-WV School District after serving as the assistant director of finance at University of Oregon, learned from her position at the college about the importance of providing jobs and support to students, and connecting what they learned in the classroom to real life. The concept was in the back of her mind from her previous job, but it wasn't until a WL-WV leadership retreat in August when a group of district high school students shared their experiences and mentioned that financial literacy courses would be useful, that the internship idea sparked. "Two of the high school students expressed a little worry: This is their senior year going into college and real life, but they don't know anything about money. It's a little bit frightening to them," Hughes said. "It gives students an inside look into their own education, which is unique as a student — you probably don't think about the financial component," said WL-WV Communications Director Andrew Kilstrom. "The real world experience is the sell obviously, but more than that, you get experience working in a giant organization that's much bigger than yourself." The duties for the two internships will mostly likely overlap, Hughes said. The accounts payable intern will scan the invoices processed by the account payable specialist. The student will match the invoices and purchase orders together, which Hughes said will require someone who is detail-oriented and has a quick eye. The accounting intern will build flowcharts in Word, Excel and PowerPoint. The flowcharts will usually provide procedural details to new employees starting a position in the district. Though Abboud's duties will include a combination of both roles, the business office is still looking for a student to fill the second slot, with hopes to eventually have a third position available. Hughes said she's ideally looking for juniors who will stick with the internship for two years but is willing to have students intern for any length of time. She said the longer internships will allow staff to get to know students better. "You want to have someone stable and consistent (to) know that person well," Hughes said. "You build a relationship with that student so at the end of the internship, we know the student well enough to provide reference letters (and) to be a recommendation for them for college or a job." While the internships will be unpaid, students can receive .5 credits from their high school. 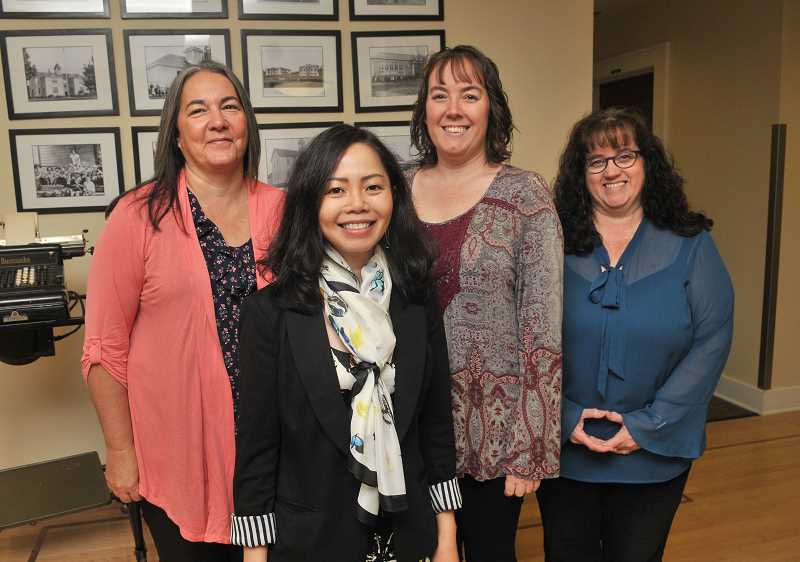 Hughes noticed that during her time working at University of Oregon, accounting students were so focused on finding work in the business sector, they often missed opportunities for accounting in the government sector. 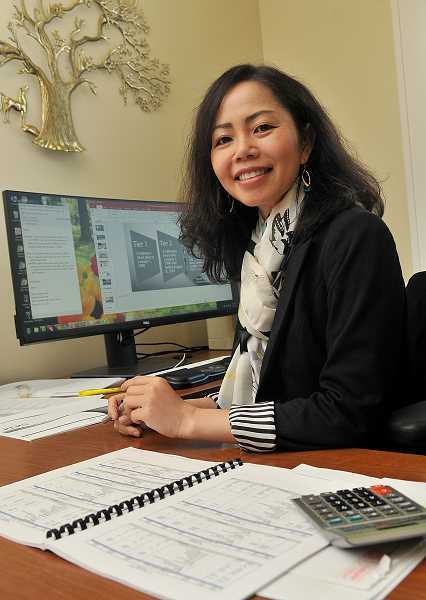 She said a benefit of the internship in the district's business office is that it will open students' eyes to opportunities outside the traditional business realm and show students there's accounting work available in their own community.